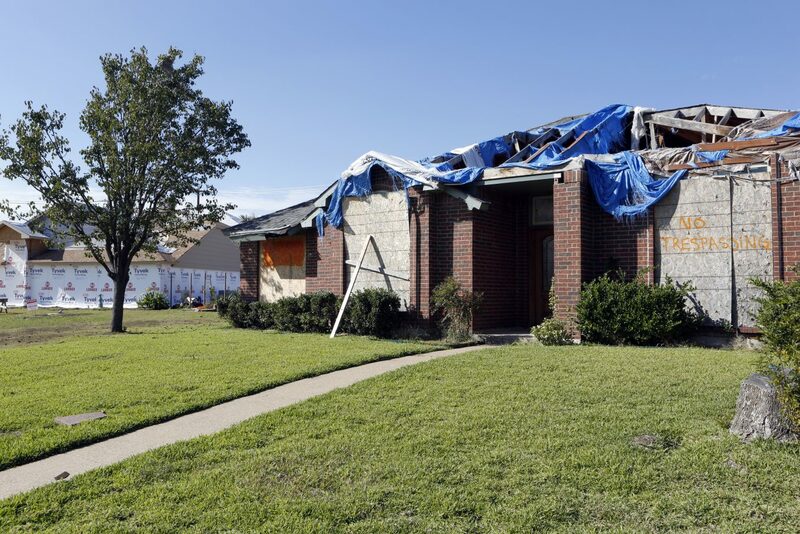 The decorations were still up when a dozen tornadoes ripped through North Texas the day after Christmas in 2015. People lost loved ones, their homes and everything inside them. As the holidays approach, we are checking in with four families who have watched the last 11 months blur by in a haze of insurance claims, building permits and financial stress. They’re still struggling to rebuild their lives, a year later. Some people returned from holiday trips to gutted apartments and gashed houses. 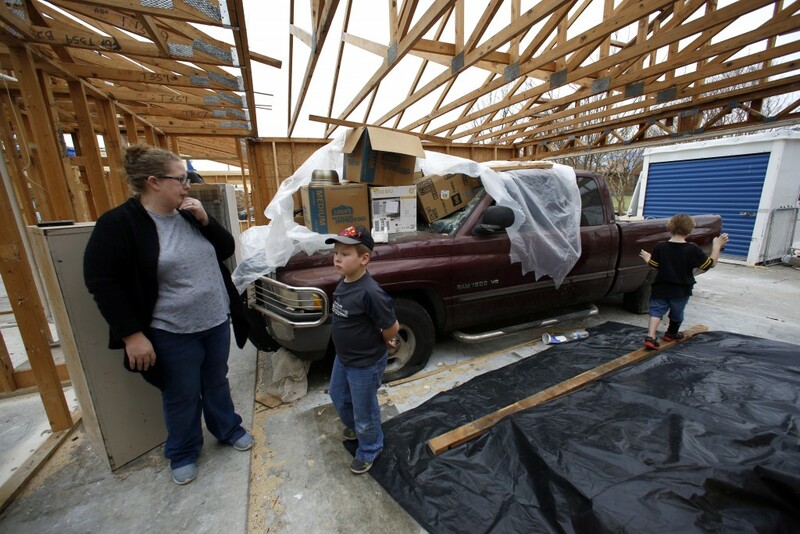 Some families rode out the storm in their closet. 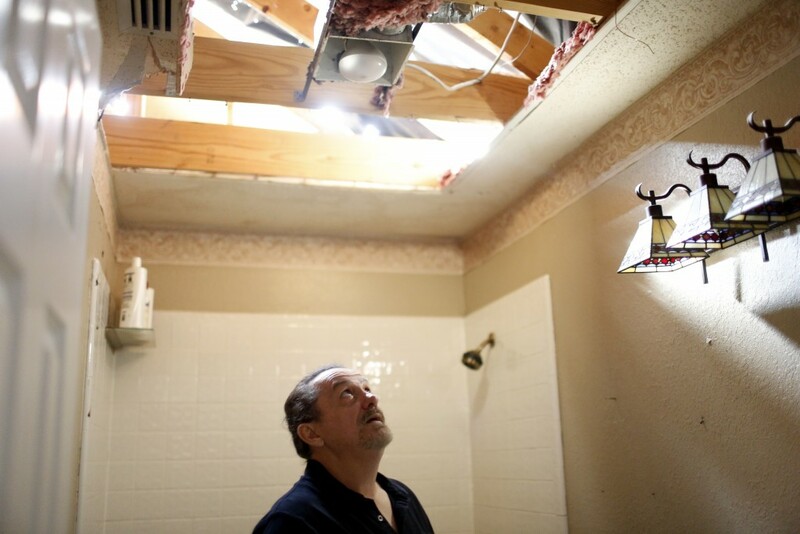 The Christmas weekend tornadoes changed thousands of lives forever. Lindsay Diaz will never forget hunkering down with her then-infant son in the bathtub of her Rowlett duplex and then emerging to a home she no longer recognized. “Everything was broken, windows shattered, everything off the wall,” she said. Diaz had homeowners’ insurance but not enough of it. She’s been displaced since the day of the storm, moving into two different rentals in less than a year. Losing a home is more painful than some people realize, experts say. Social worker Valencia Alexander manages the senior services program for the city of Dallas and helped with counseling in the wake of the tornadoes. She says the stress of moving — even temporarily — can be crushing. Revisit Linday Diaz’s story from earlier this year. 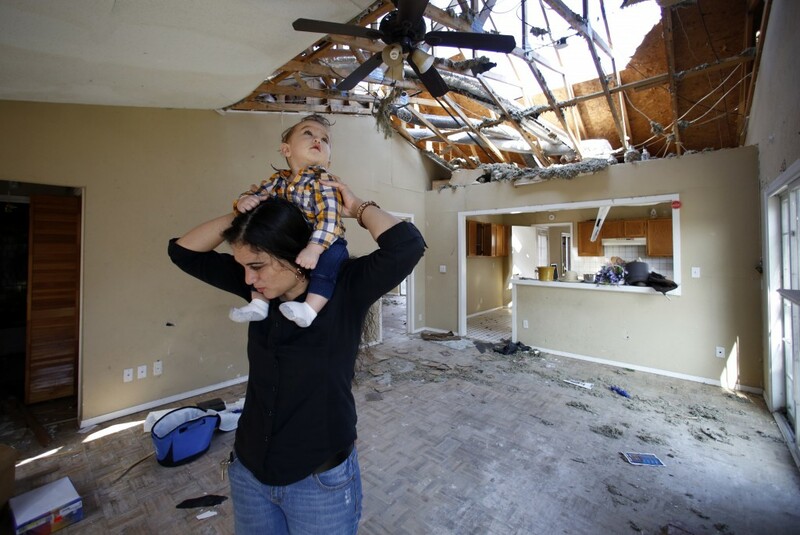 Jessica Cadick, her fiancé and their three kids were renting a house that was destroyed in Garland. Speaking a few months after the storm, she said her family was desperate to get back to normal. Their house was one of the first on the block to start construction. But progress slowed during the spring. They hope to be moved back in soon. Valencia Alexander says even having to leave a rental property can cause pain and resentment. “Anyone who’s kind of moved from a place they’ve been in for awhile and go back and they look and say ‘Wow this had a lot of memories for me,’ and I was forced to move versus choosing to move,” she said. Revisit Jessica Cadick’s story from earlier this year. Single mom Jennifer Anderson, who lost an apartment full of furniture, clothes and toys for her two sons, has re-settled in a Garland rental house. It’s got a small backyard and a bedroom for the boys. Even so, she can’t help but worry about the next crisis on the horizon. She lost her husband to suicide two years before the tornado. Revisit Jennifer Anderson’s story from earlier this year. And after eight months of construction, the home of Anthony and Alfredo Fowler-Rainone is finally finished. Pictures are back on the wall; crystal is back in the cabinets. And while they didn’t have enough insurance money to replace everything they lost, they’re just glad to leave the process behind them. “Some of the furnishings, we just continue using what’s been damaged until we can replace it,” Anthony said. “There’s no way to even get it through anybody’s head how stressful this is,” Alfredo said. That’s something Valencia Alexander hears a lot. Even folks with enough insurance find the process of getting everything evaluated and reimbursed exhausting. A fight that started the day of the storm and has lasted for months and could for even years as they try to rebuild their lives, one brick at a time. Revisit the Anthony and Alfredo Fowler-Rainone’s story from earlier this year.